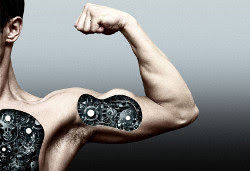 What's Your Problem with Human Enhancement? There is another reason we might want to meddle with the work evolution has done so far; a discordance between human values and the values of evolution. An ardent objection common to human enhancement and transhumanism is that it is both perilous and foolhardy to try to ‘play God’, or to question the wisdom of Mother Nature. As with most mental shortcuts, there is some truth in the ‘nature knows best’ argument. Cognitive enhancement, perhaps the most challenging and promising of all, is no mean feat. Naïve intervention into the mechanisms of the most complex system in the known universe could disrupt the delicately poised equilibrium struck by evolution over millions of years with unknown consequences. Undoubtedly caution should be deployed, but isn’t outright disregard for the ‘unnatural’ both hasty and hypocritical? Tool making and technology is one of the things that sets human beings apart.